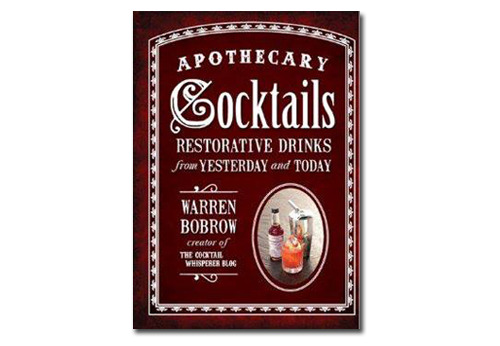 Community pal Warren Bobrow has published (Oct 2013) Apothecary Cocktails providing 158 pages of "restorative drinks from yesterday and today." Here are some samples: Roasted Tomato and Chili Bloody Mary, Mountain Body Warmer, Aperol Fizz...the possibilities from this book are endless. For more on this cool book, go to the Apothecary Cocktails web site. Warren has donated a copy of the book to sell on the Marketplace and all the proceeds will go directly to Tucker's healthcare fund.